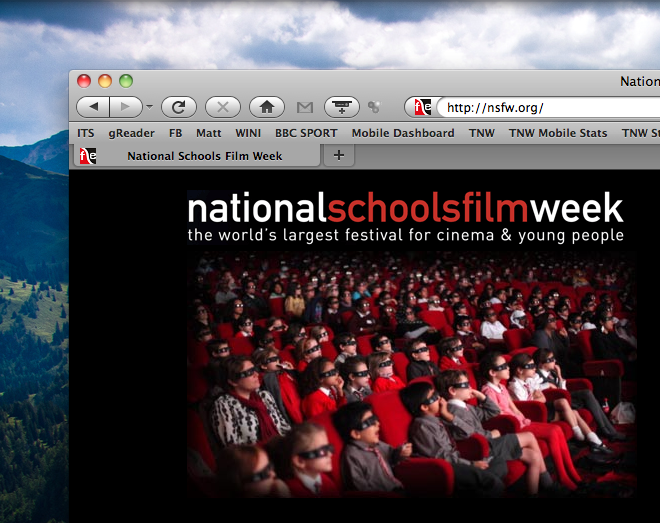 An initiative by the National Schools Film Week (or NSFW) encourages UK students and their teachers to view a wide variety of films at local cinemas. It’s a festival that has the interests of schoolchildren at heart, until it asks them to key in their web address. You see, the National School Film Week (NSFW) shares its acronym with the shortened version of the term “Not Safe For Work”, a label usually attached to a link or description on the web that might contain questionable content. The festival operates using the domain name NSFW.org, a website that is perfectly harmless until someone decides to mistakenly key it is dot-com counterpart or falls foul of internet monitoring software. NSFW.com (we won’t link it) provides vistiors with YouTube-style portal for more adult content, providing videos, pictures and chat services. Whilst National Schools Film Week is only running for seven days, NSFW.com is available at anytime for your viewing pleasure. It looks like the people behind the festival didn’t do much in the way of research, we wonder how the Film Education team will dig themselves out of this one.